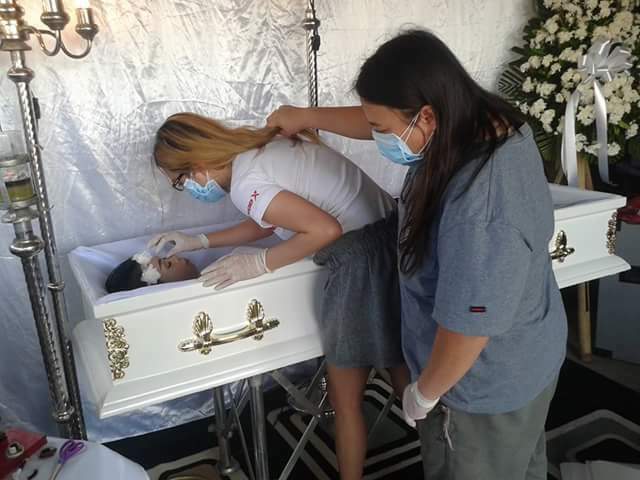 A 20-year-old cancer sufferer from the Philippines, Racine Pregunta has had her final wish fulfilled after passing away earlier this week. Racine was diagnosed with osteosarcoma, a rare type of bone cancer, last October. Her family launched an emotional appeal for financial donations to help with medical support and a specific blood type to help Racine battle the disease. 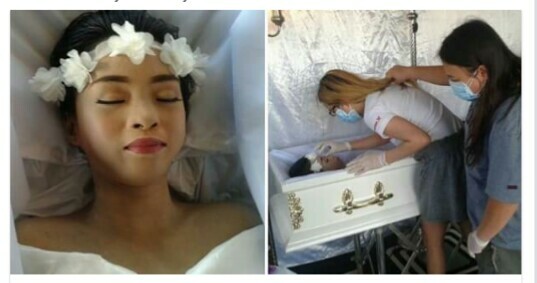 But sadly the 20-year-old lost her battle on Monday in Davao City, in the southern Philippines. According to her sister Rolyn Pregunta, Racine, who had previously modelled, made the request after being ‘inspired’ by a 2016 Filipino comedy, Die Beautiful. The film is centred around a transgender woman who dies while being crowned in a beauty pageant. Let me tell you how Racine prepared her departure. It was April 12, 2017… Before she informed everyone that she’s ready to go. She had these requests: An off- shoulder white dress and a white flowerband. The next day, she asked for something that’s Violet, Blue and Mint Green. Then I asked her “Unsa d I na gang?” she replied “Basta kabalo nka ana”. The following day…. she said: I want to lay beside Papa. Thus, I said, let me try to achieve your request, consulted Mom about it and she told me: If we can afford to buy the lot beside my father’s grave. She practically suggested; what if “ipatong nalang nato sya sa lubnganan sa imu Papa?” And immediately relayed the message to Racine and she answered “it’ s fine”. 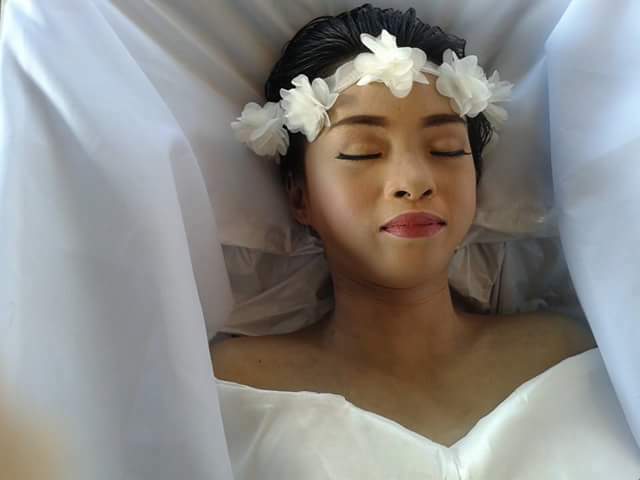 She added: “If I die, I want to die BEAUTIFUL.” Personally requested for Ate Gladys to do her make- up (who is her personal make- up artist). Today, request fullfilled and there all I see is you, smiling.